Sometimes you just need a cinnamon sugar muffin to brighten you day. Ok maybe that's just me but either way these were a huge hit in our house. John ate the first batch of 12 in 2.5 days... yeahhh. That might be some kind of record. (full disclosure I ate ONE from that batch) Since he was sulking that there were no longer any baked goods in the house I made another batch for him last night... any wagers on how long this batch lasts?? 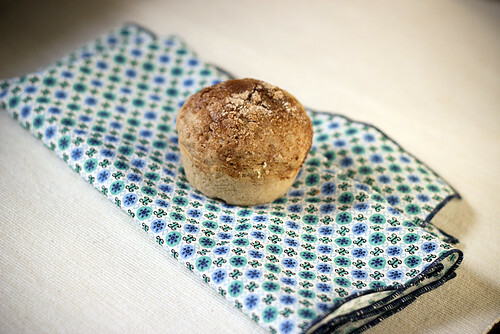 I prefer these muffins hot out of the oven, the sugar cinnamon has a nice crust to the top of them. John still loves them the next day even after the crispy crust has gone soft from the moisture of the other muffin in the tupperware tin. Mix together dry ingredients (flour through flax seeds) in a large bowl. In a smaller bowl, mix wet ingredients (yogurt, milk, vanilla). In an even smaller bowl, mix the sugar and cinnamon. Pour the wet mixture into the flour mixture and stir just until thoroughly moistened. Do not overmix. Spoon batter into each muffin cup. Sprinkle each muffin with 1/4 teaspoon of cinnamon sugar mixture. I lovvvvve chocolate, but I definitely love desserts that don't have chocolate in them. Rhubarb pie, anyone?